Toilet facilities at the Garden entrance, restaurant and Milkplum Restaurant inside the Garden are adapted for disabled persons. Wheelchairs can be obtained from the Garden entrance on request. 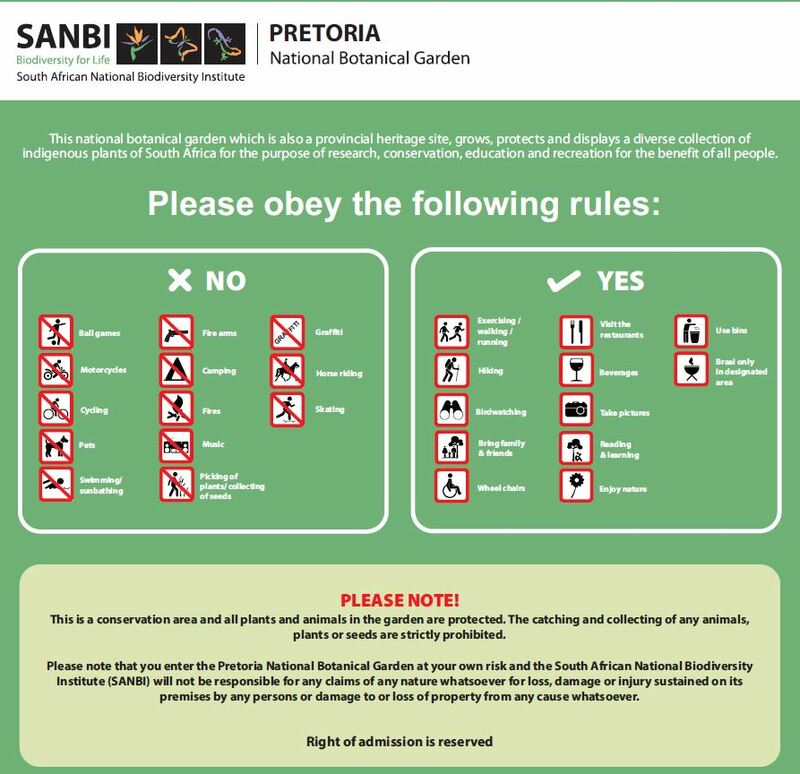 All pathways, except for the pathways on the ridge (Dassie Trail), the Succulent Garden and Cycad Garden, are accessible to visitors in wheelchairs. A special theme garden, the Enabling Garden, addressing the needs of physically challenged people, has been developed near the Garden entrance. 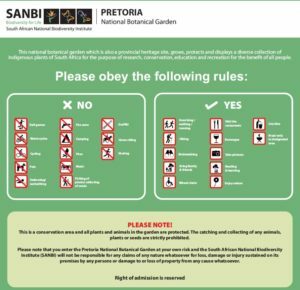 Make time to visit this garden to get interesting information and tips on how to adapt a garden for the physically disabled. Information in Braille is also displayed on information boards. 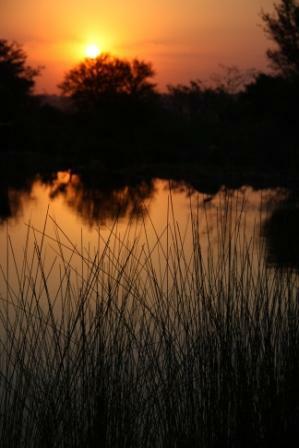 The Garden is situated in the typical South African Highveld climate zone. Summers are predominantly warm to hot (November to February), and winters are cold and crispy. Rainfall normally occurs in summer in the form of thunderstorms. Visit the Garden all year round because each season brings something special to look forward to.